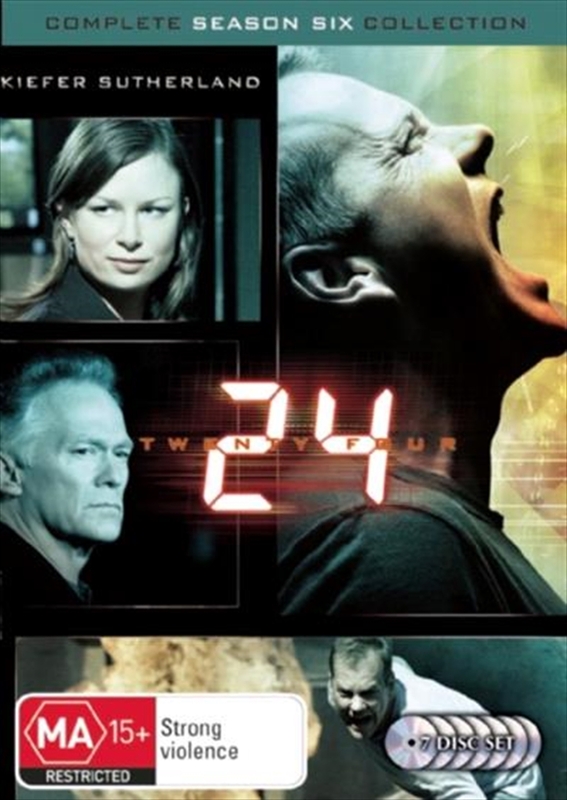 24, the Emmy and Golden Globe award-winning television series returns for DAY 6!Day 6 starts at 6:00 a.m. Twenty months after the events of Day 5, Jack is released by Chinese officials to CTU agents in Los Angeles, under a deal brokered by the new President Wayne Palmer. Jack is shortly then sent to Abu Fayed, to be sacrificed in exchange to help stop the recent terrorist attacks. However, Jack discovers that CTU has bargained with Fayed to hand over the wrong man, leaving the real terrorist, Fayed, free to continue his reign of terror upon various US locations. Because of all the attacks, Americans are in a state of panic and now Jack with the help of Bill Buchanan, Chloe O'Brian and others at CTU as well as Karen Hayes, Thomas Lennox and President Wayne Palmer in the White House, must stop these terrorists from using five Soviet-designed suitcase nuclear weapons in an unthinkable, nail-biting day.